Will President Obama's New Housing Plan Work? By some measures, such unlikely spots are in even more danger than California, which is suffering a brutal real estate slump after years of speculative excess. That's because Midwesterners owe more on their properties than left coasters. The average loan-to-value ratio in California is 70%, while Nebraska and Iowa clock in at 75% and 76%, respectively. 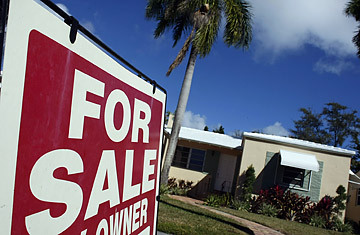 As the recession deepens and home prices continue to slide, there are fewer and fewer places to hide.